I guess this would be my grilled chicken breast alternative. 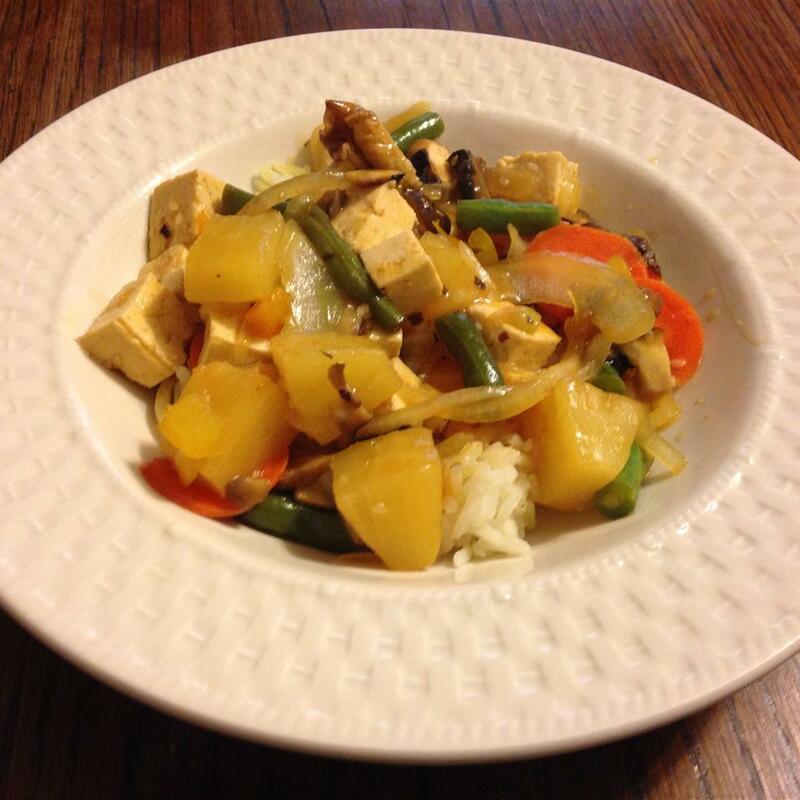 I marinate 2 or 3 pounds of tofu and then cook it up in small batches throughout the week. 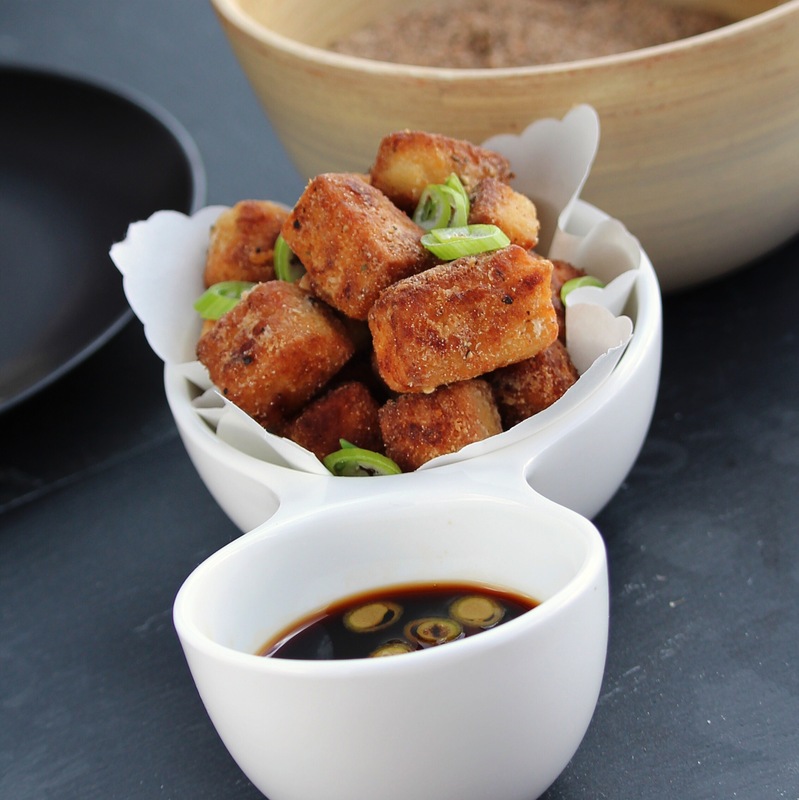 Crispy tofu yums are all about packing tofu with flavor and then coaxing it to a crispy finish for maximum enjoyment. 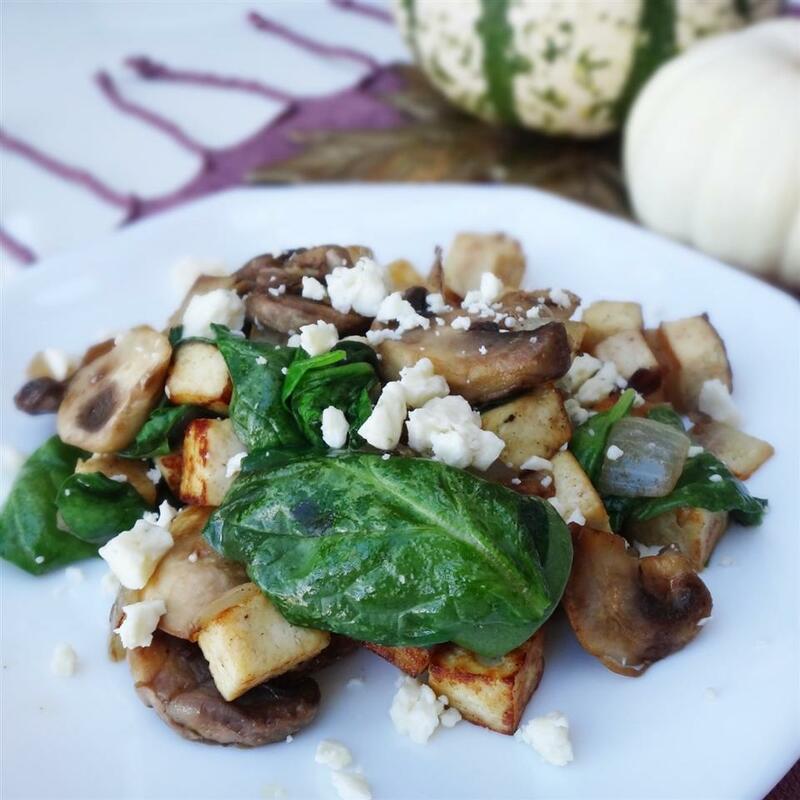 Enjoy on salads, on sandwiches, with veggies, or just eat 'em! 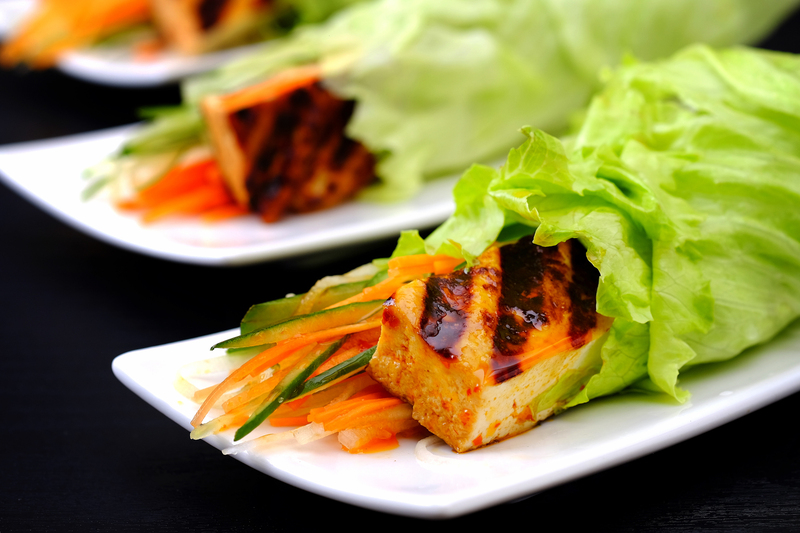 Place 2 layers of paper towels on a flat work surface; arrange tofu slices on top. 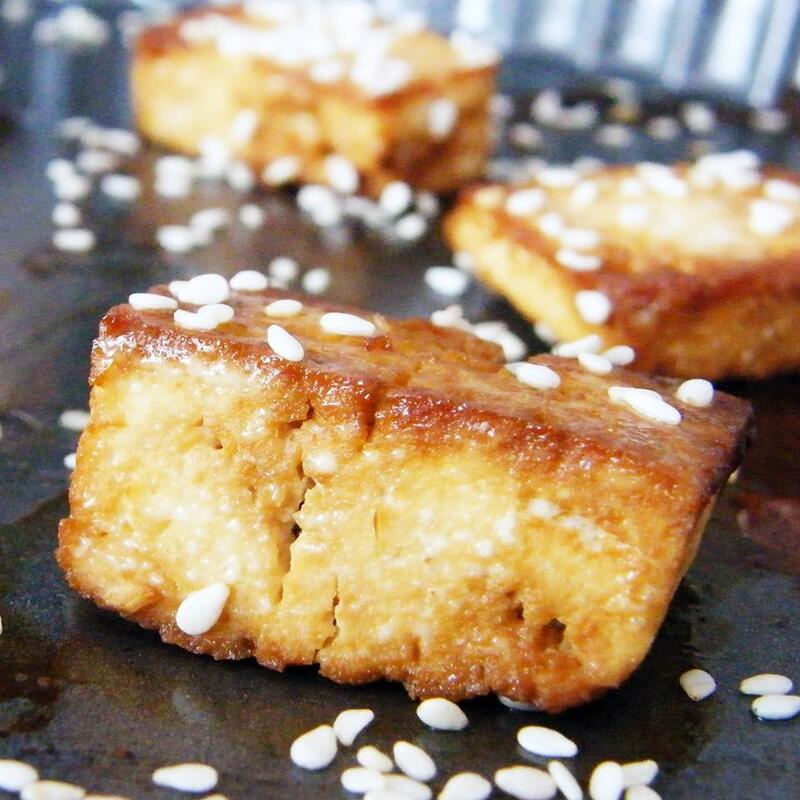 Cover tofu slices with a baking sheet. Place cans, jars, or book on top of the baking sheet. 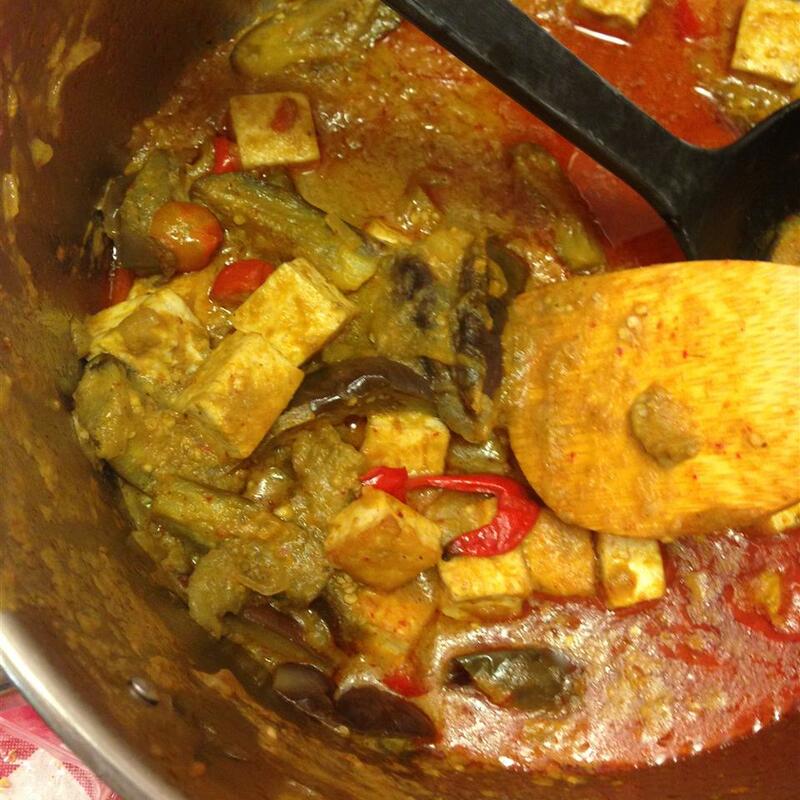 Press tofu for 15 minutes. Remove weights and discard accumulated liquid. 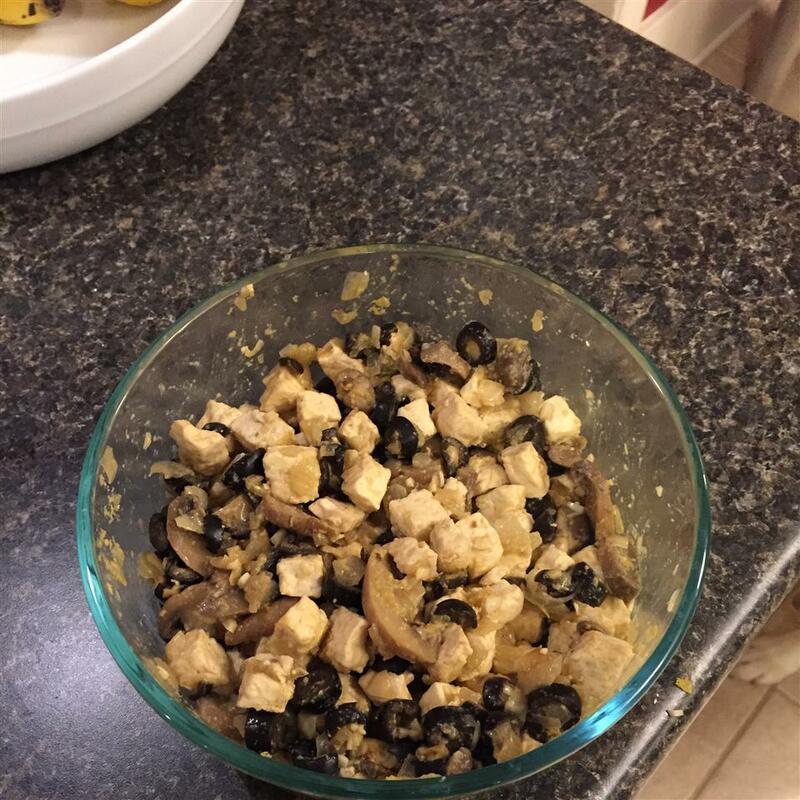 Mix lemon juice, tamari, and garlic together in a bowl. 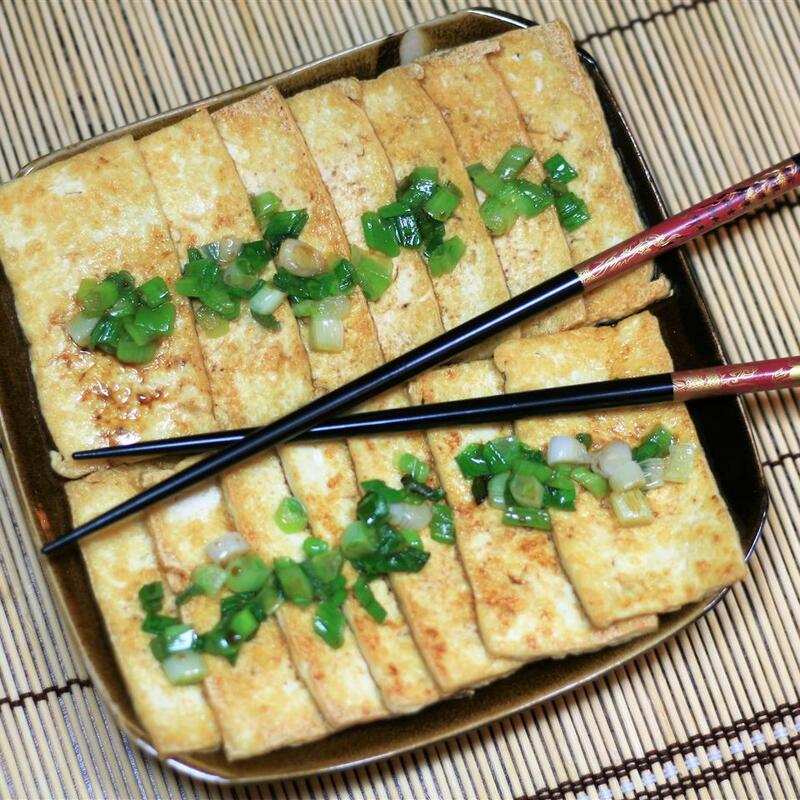 Place tofu slices on the baking sheet; pour lemon juice mixture on top. 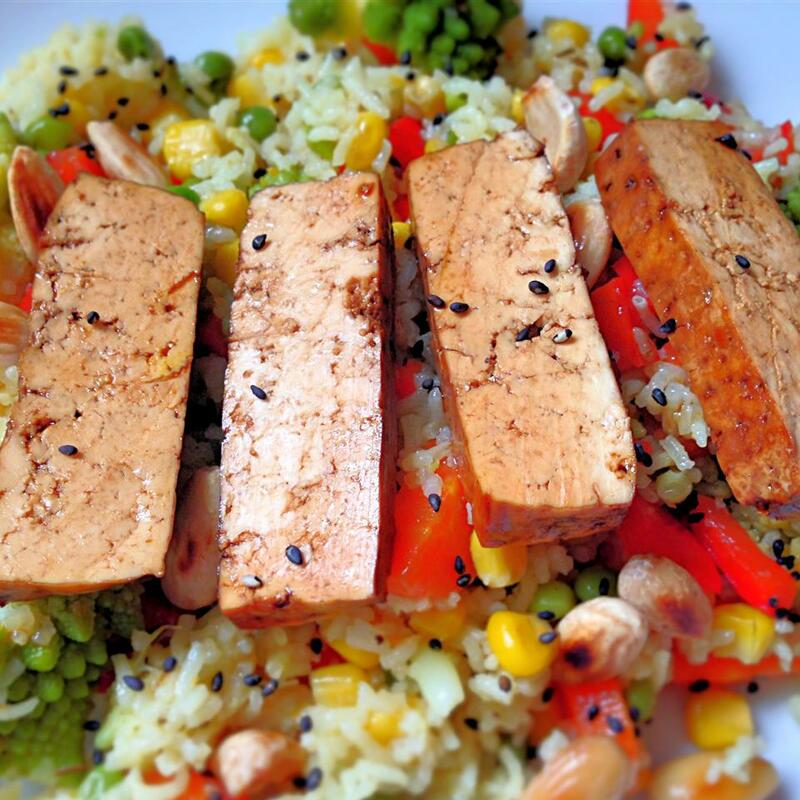 Let tofu marinate for 15 minutes. Preheat a large skillet over medium heat; pour in olive oil. 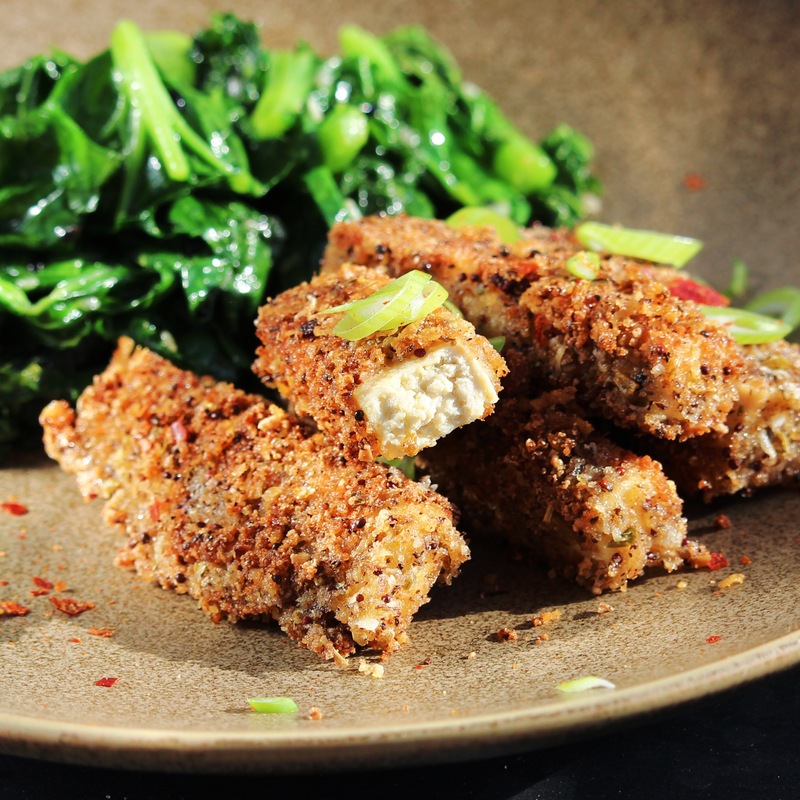 Add tofu slices in a single layer. Cover and cook until golden brown on the bottom, 5 to 7 minutes. 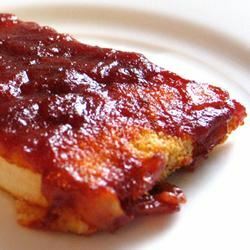 Flip tofu and continue to cook, covered, until golden brown on the second side, about 5 minutes more. Remove lid and cook uncovered for 2 to 3 minutes. 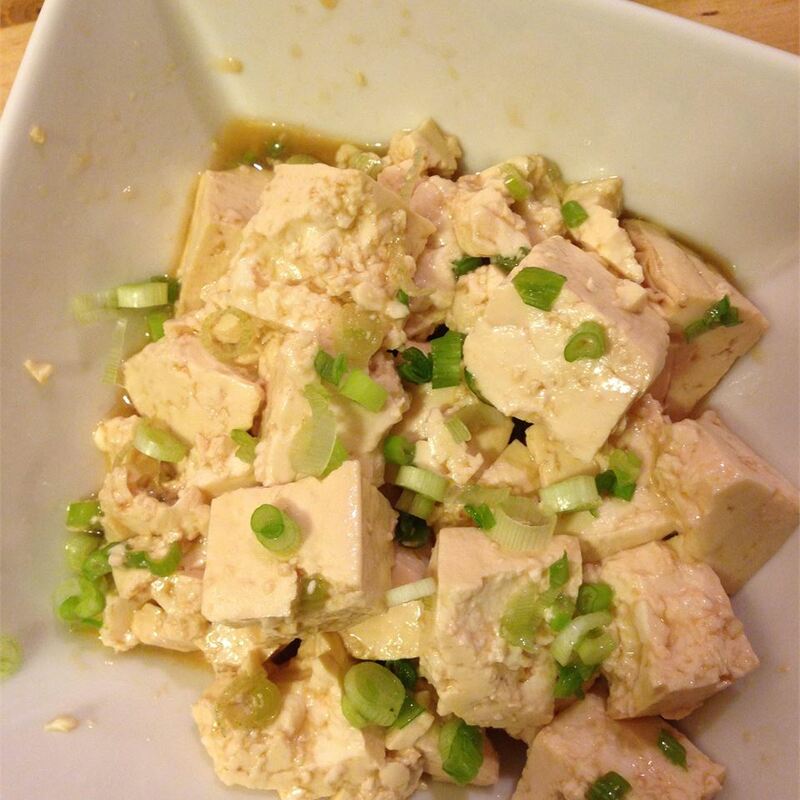 Repeat with remaining tofu. Substitute soy sauce for tamari if preferred. 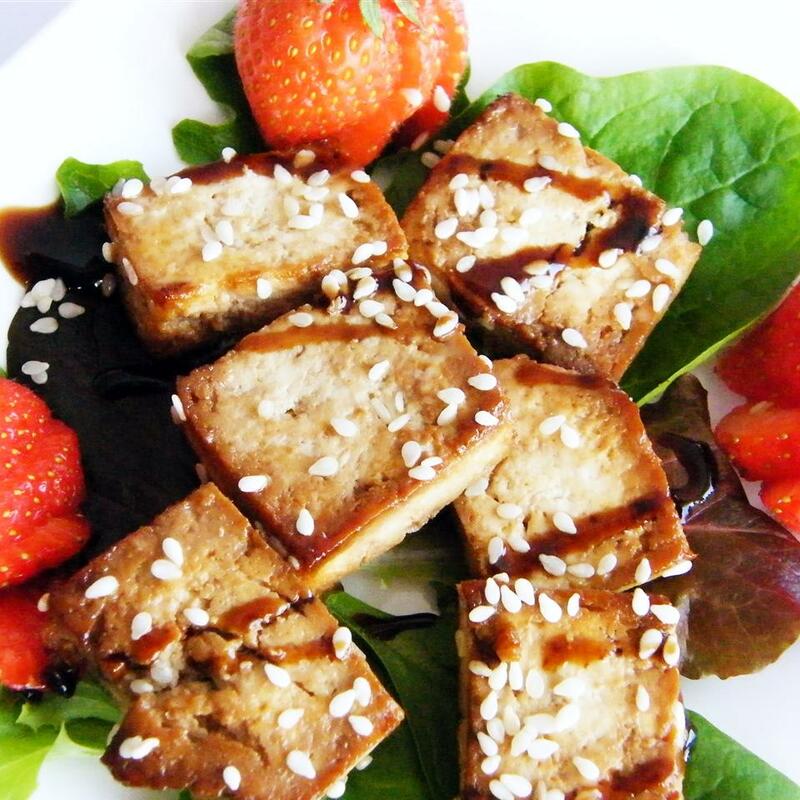 Marinated tofu can be refrigerated for up to 4 days. 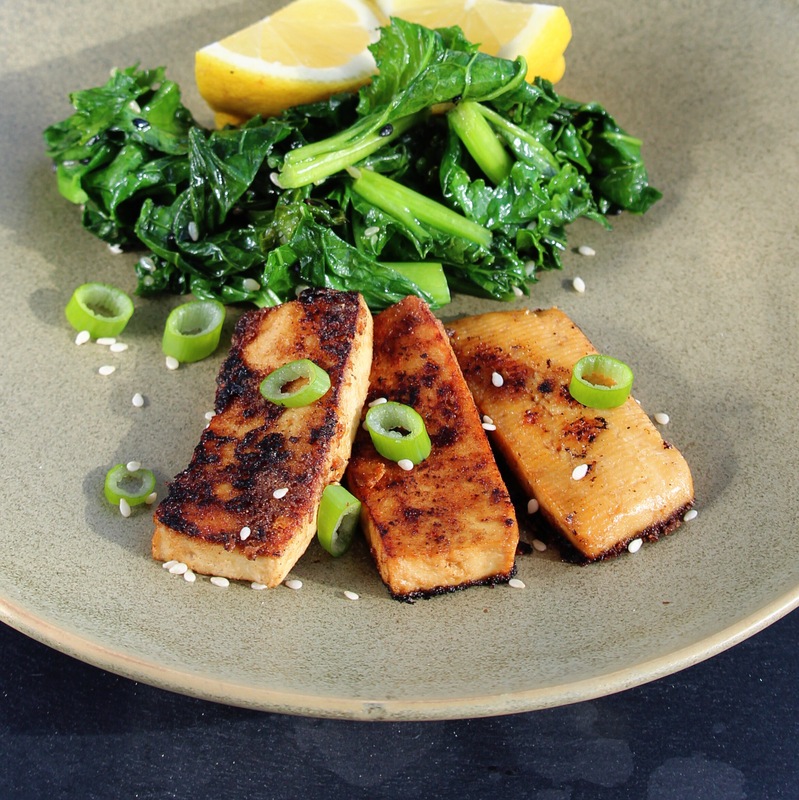 This is an easy and tasty method to make tofu. It was delicious served with some sautéed greens but I imagine it would be good in a Buddha bowl. Thank you for the recipe.